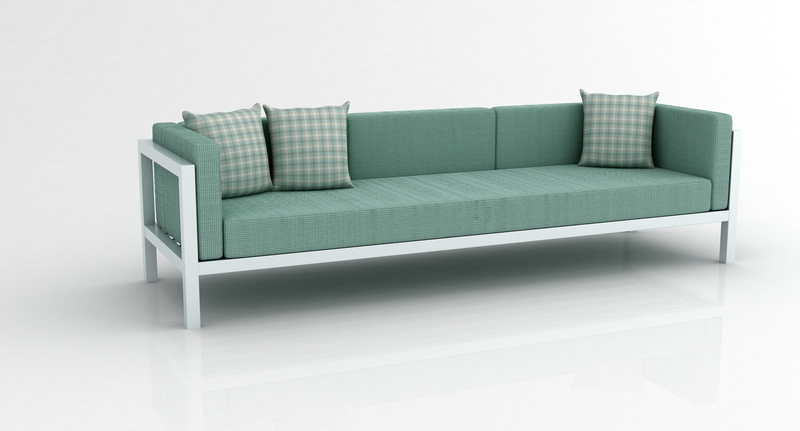 The Aqua Extra Large Sofa by Greenbridge Furnishings has a powder coated aluminum frame in River White. Seat and back cushions included. 5” Seat cushion with a 5” Back Cushion. Outdoor reticulated foam covered by commercial upholstery. Throw pillow not included. 2250 points will be rewarded to you when you buy this item.